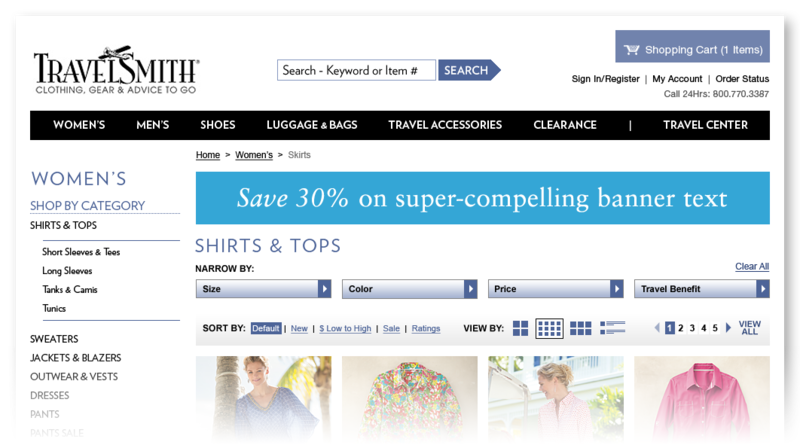 As Senior Web Designer at TravelSmith I was responsible for the e-commerce face of the company. Over seven years I lead the design of the website through 4 major revisions, growing sales from 18% of total sales to over 85% at present. My bailiwick included art direction, design and production of home, landing and product pages, and the path-to-purchase. In support of the website I designed over 200 emails per year, art directing freelancers on overflow projects as needed. 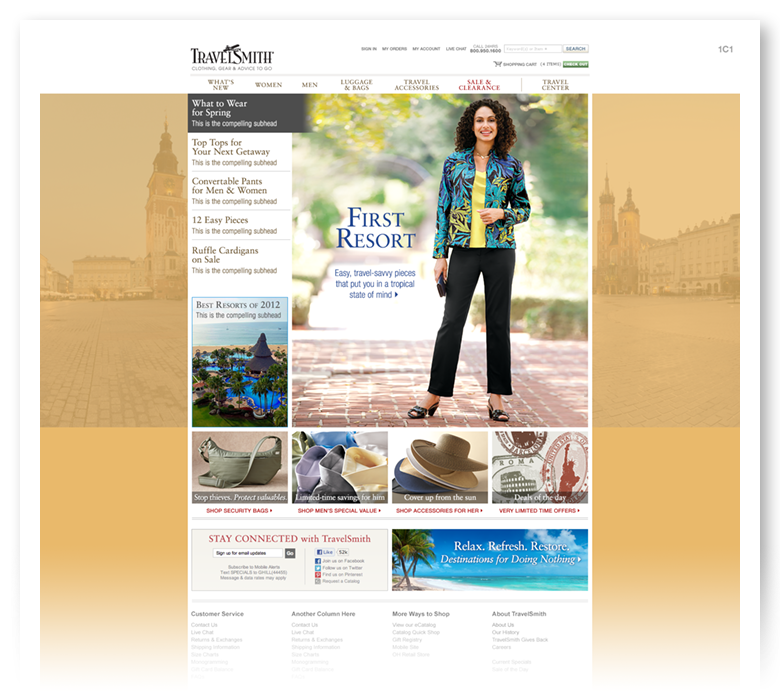 Additionally, I art directed the design of the Travel Center, a content rich WordPress for travelers. section as well as the usual assortment of ads, banners, logos and more. 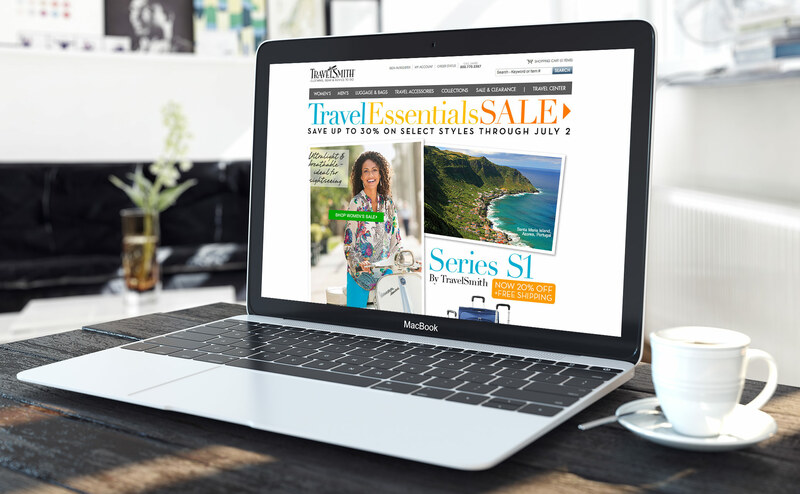 As the TravelSmith site grew so too did the use of email marketing—the essential driver for e-commerce. My team and I were responsible for the design and production of over 200 emails a year. Through our use of best practices and compelling design email productivity went from around 17% seven years ago to nearly 90% of sales at present. When TravelSmith’s web sales increased taking the lion’s share over sales from the print catalog it was decided to increase the site’s relevance and add value to customers—specifically travel related content— and so the Travel Center was born. Now in it’s third evolution it has come of age as a robust content site built on the WordPress platform. I art directed a San Francisco web agency who created the final design and developed the site using a custom WordPress theme. In addition to all the major aspects of design for the TravelSmith e-commerce site there were always a myriad of other smaller projects and tasks in motion: banners, web ads, icons, badges, etc. I was also called upon to storyboard and art directing interstitials that aired on PBS and shown on banks of TVs for sale at Costco.